The rich DJ culture of Jamaica carries the essence and message of reggae music in the perfect selection of records. A talent and a skill, DJing involves commitment, passion, knowledge, and a spiritual connection to the music and the crowd. Reggae music is Jamaica’s national treasure and popular native DJ Yaadcore has emerged a brilliant devotee. Yaadcore grew up in Mandeville, Manchester. His father was a DJ and owned a sound system, although he discouraged his son from the music industry because of his own struggles. 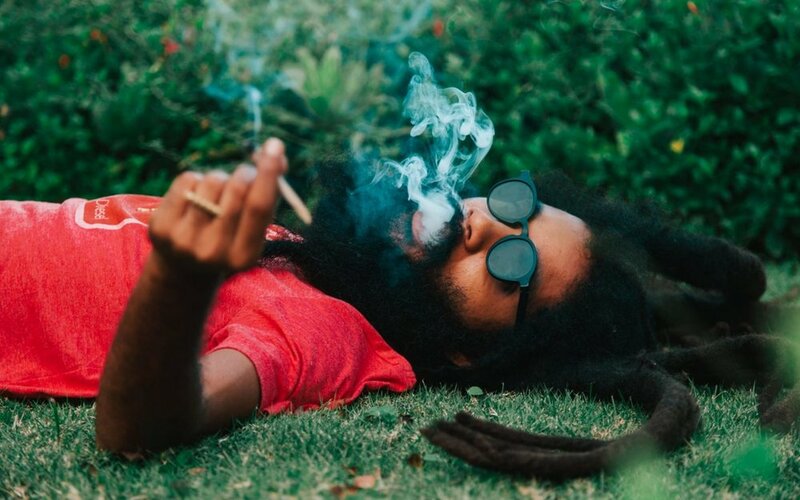 Inspired nonetheless by the strong reggae aura of the island’s culture, today Yaadcore is DJ for renowned reggae artist Protoje, co-founder of the epic Jamaican club event Dubwise, and a strong advocate for the roots resurgence in reggae music. Leafly: When did you start spinning records and how did you become interested? Yaadcore: I started to DJ in 2003 after learning how to beat match from a DJ that worked on my father’s sound system. What kind of music did you play first and how did it influence your emerging style? I was exposed to party music, anything that could get the “dance hall” hyped up. This consisted of dancehall, reggae, hip hop, rap, R&B, you name it. This style of DJing has helped me select songs more in a groove to tell a story. DJing is like being on a musical ride. Who are your reggae heroes and why? Bob Marley is one my heroes because he had vision to spread the music and the message of Rastafari without compromise or by any means necessary. This was done so well it has opened the door and set a standard to where the music is capable of reaching. Mikey Dread is also one of my heroes because of his unique sound and style of rhymes. He was Jamaica’s first radio presenter to have a roots reggae radio show and did most of his own production. It’s kind of how I see myself, or the direction I’m heading. 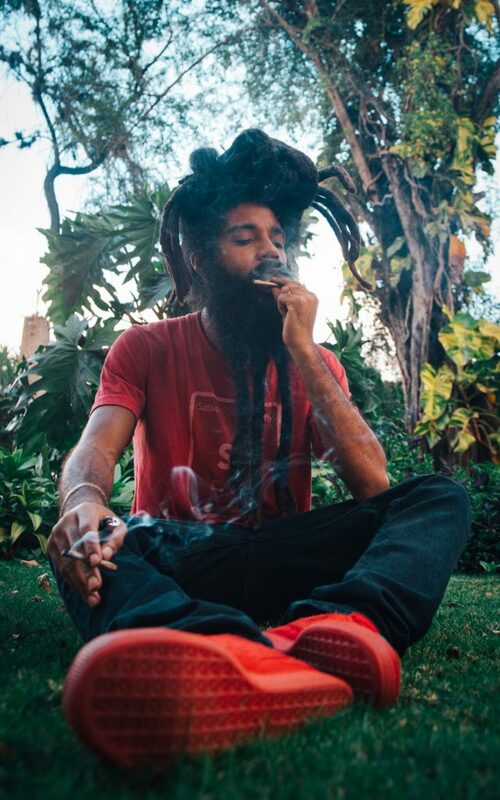 Protoje, last but not least, is one of my heroes because of the role he has played in bringing back the awareness and relevance of reggae music in Jamaica and worldwide. After he rose to the forefront, the door was wide open for new reggae artist to get a listening here, or for even a DJ like me to be able to play straight roots reggae in a session. Who are your DJ heroes and why? Mikey Dread again because he was also a DJ! Stereo Grav Sound System, their style of selections I love because they play the song, then the riddim version of that song for an artist to sing live on. I like this because it incorporates the DJ’s selection as well as the artist performing. This is an original Jamaican way of selection, but this sound system has managed to live throughout generations and still is alive today. DJ Wayne (Wizzle) from Irie FM is one of Jamaica’s best DJ’s in my eyes. His mixes are so seamless, with the best selections flowing every time! Hosting his radio show with vibes like no other. What are your favorite elements of reggae music culture? My favorite elements of reggae music are the feeling it can give when the right message is blended with the right sounds. It can be a very spiritual and uplifting music. The only music on the mainstream market singing praises to the creator. Musically, the bass line, drum patterns, soothing melodies really resonate with the body’s chakras very well. Dubwise is a style of mixing that can be done when making an original track or to remix an original track with different effects such as reverb, delay and distortion, etc. Dubwise is also a roots reggae event done by friends Jason Panton, Protoje, and me that we started in Jamaica. It has now become an international event held in Miami every Wednesday, as well as other places such as Brazil, Trinidad and Tobago, Bermuda, a few places in U.S., such as New York, Atlanta, Washington D.C. and has also toured in Europe and Africa. What kind of DJ setup do you rock? I’m rocking a Serato setup, preferably used with turntables, but I don’t mind CD players or controllers. How do you prefer to enjoy your cannabis? I prefer spliffs, then a bun chalice, similar to a bong, then there is the steam chalice, which is similar to a vaporizer. What kind of strains do you like to smoke? I love anything Purple. And, Sour Diesel, best I had was from Seattle. OG’s are good too! How do you think legalization can change the world? Legalization could change and impact the world the same way it has in those places it has been now legalized, only on a higher scale. Less crime, less use of other hard drugs, less people in jail, more sick patients being cured, more jobs for people, and more love in the air. Reggae music has been popular for over 50 years now. How does the genre continue to be so important and stay popular? Reggae music can never die because of the positive message that it brings. It gives life and mental stability to people worldwide facing oppression and injustice. It is in lights of the same marijuana plant. The healing of the nation! Just like marijuana has been facing struggles and fights, reggae music has also and still is. I give thanks to this platform to share energy.